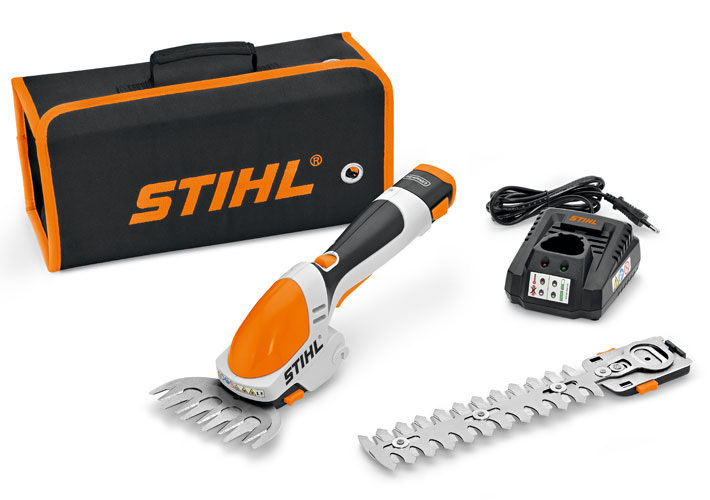 Battery shrub shears with shrub cutter to trim and maintain small, evergreen hedges and small-leafed ornamental trees with up to 8 mm branch thickness. With a grass trimmer for cutting grass edging around the patio, flowerbed and edges of the house. 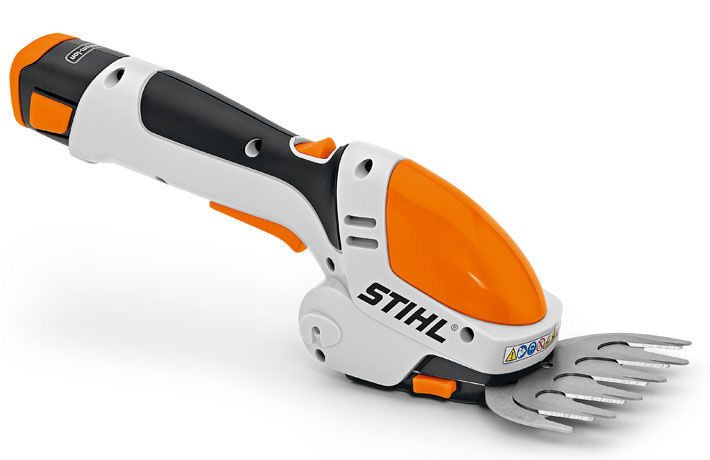 Ergonomic, rubberised handle, double-stroke blade for a powerful cut and low vibration, weight 0.6 kg. 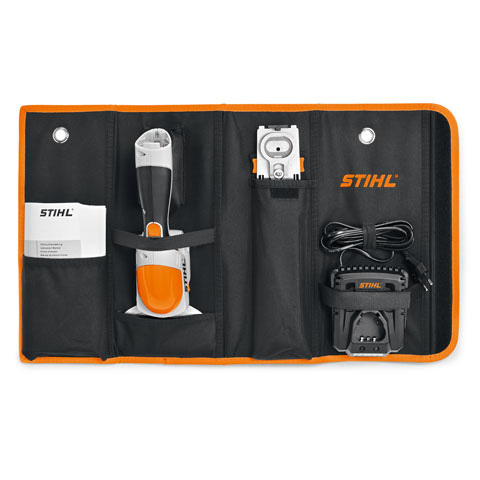 Includes Textile carry case for neat storage, 2 high quality cutting blades, battery and charger that fits HSA 25. 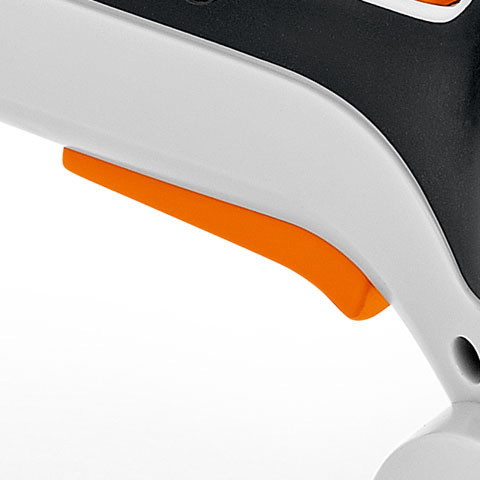 The large ergonomic trigger can be operated using two or three fingers, making handling the device very simple. The laser cut, diamond-ground blades cut branches up to a diameter of 8 mm, whilst working at a speed of 2000 strokes per minute. 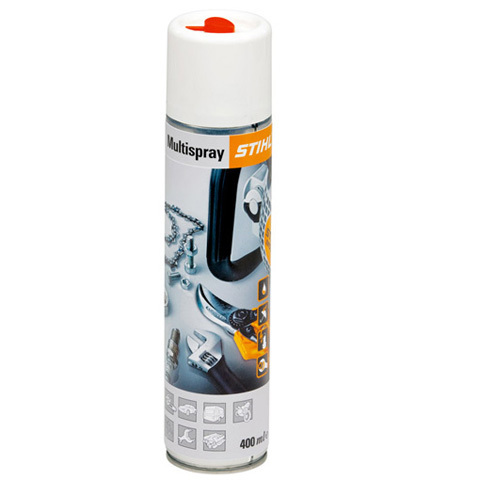 The counter-rotating blades ensures extremely low vibration and smooth running. 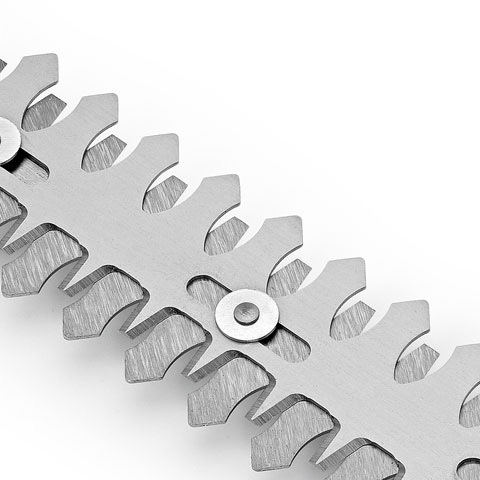 The HSA 25 includes two high-quality cutting blades as standard. 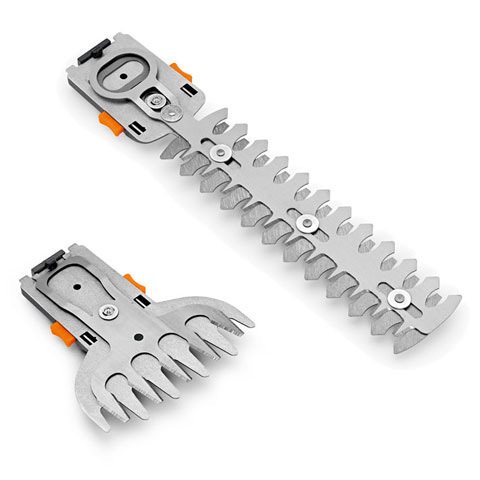 The shrub blade has a 17cm cutting length for accurate shaping of ornamental trees and hedges. 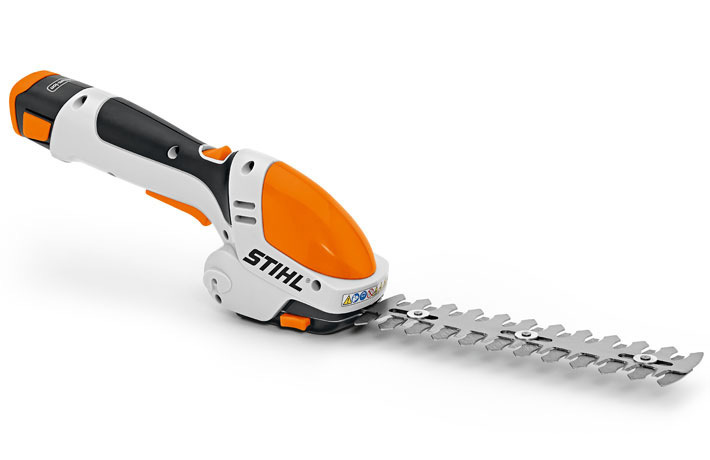 The grass blade has an 11.5 cm cutting width for trimming grass, perfect for lawn edging. 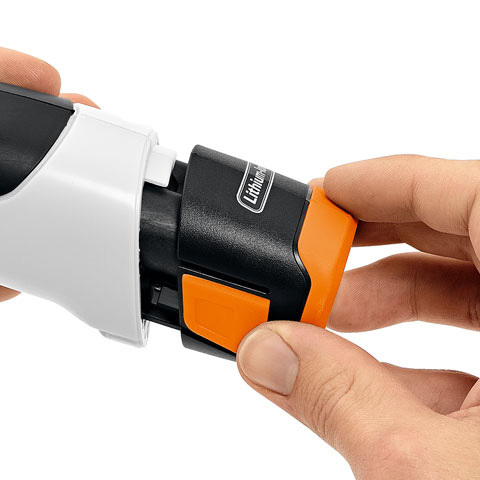 The cutting blades can be changed quickly without the need for tools. The textile carry case allows for neat storage of the HSA 25, charger, battery and cutting attachments. 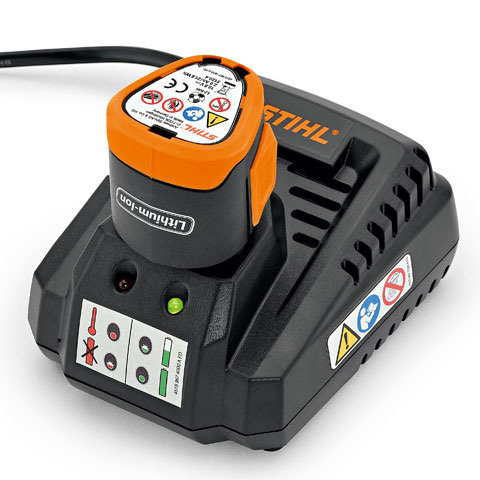 The powerful 10.8 V, 21.6 Wh (2.0 Ah) Lithium-Ion battery allows the HSA 25 to be used for up to 110 min. The battery is well protected and can be changed quickly. The durable charger comes as standard with the HSA 25 and can be wall mounted for convenience. 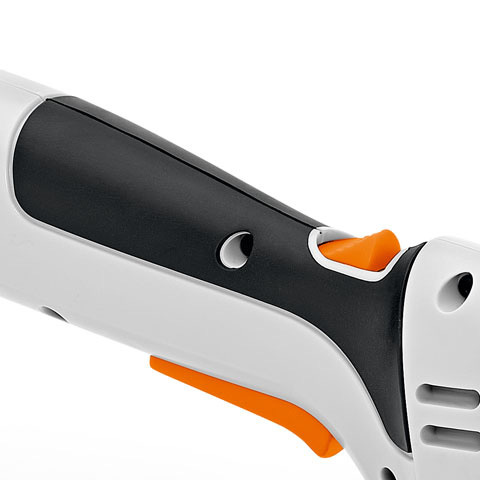 Thanks to the ergonomic and rubberised handle, the HSA 25 feels secure and fits comfortably in the hand. A large, easily accessible locking lever ensures safe operation. The blades can be changed quickly and without tools. 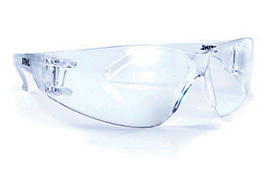 Enables work with the HSA 25 in an upright position. 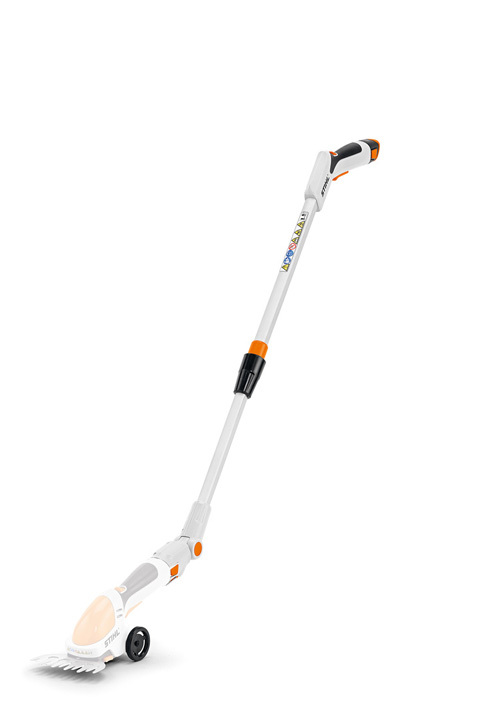 Battery replacement in the control handle, infinitely telescopic from 95 – 110 cm, working angle that can be adjusted through 125°, smooth-running wheels.